annual Shepherding Project for the Branson Adoration Parade!!! involved and serve our community. most helpful and best dressed Shepherd! you serve our community through this simple, yet needed task! Kathleen Bullock at 334-4084 ext. 326 or kbullock@bransoncvb.com. bring a valid Driver’s License and Social Security Card. The Circle B Supper Show still has numerous show dates in 2008 – through December 20, and then December 27 – 30. But the Circle B has yet to perform any discounted shows for locals this year. The Circle B is hosting “Good Neighbor Nights” from December 1 through December 13. “Good Neighbors” gain admission to Circle B Supper Show for just $10 + tax. Anyone with a paystub or state ID card from Missouri counties Stone, Taney, Douglas, Webster, Christian, Greene, Barry and Ozark is considered a “Good Neighbor.” This offer includes one guest or immediate family members. So, residents and employees of Arkansas counties Carroll, Boone and Marion may also take advantage of the “Good Neighbor” offer. 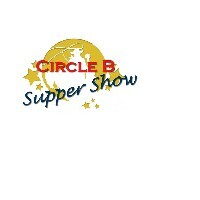 Please call 417-336-1828 for reservations, or visit www.circlebshow.com. The Spectacular Production of The Wonder Of Christmas! Area Appreciation Shows are Now through Sunday November 30th. 10:30 a.m. ; 3:00 p.m. and 7:30 p.m. shows are available. Also open to residents of Boone and Carroll Counties in Arkansas. See the show that EVERYONE is talking about! Tony Orlando & The Lennon Sisters Christmas Celebration! November 25th, 26th, 27th, & 28th. Branson, Mo:- November 12, 2008. Reflections, the Thomas Kinkade Signature Gallery in the Grand Village in Branson Missouri will host a personal appearance by Thomas Kinkade on November 22, 2008. Thomas will appear at the Baldnobbers Theater as the artist travels for the 2008 Share the Light Tour. Mr. Kinkade will share with his fans a special message about the making of the new motion picture, Thomas Kinkade’s Christmas Cottage. This is the first movie based on true events in the life of Thomas Kinkade, the world’s most collected living artist. The movie was released on DVD on November 11. Thomas will be unveiling the two newest holiday Limited Edition releases, Graceland Christmas with Elvis’ famous home all decked out for the holidays. And, Christmas in New York featuring Rockefeller Center and perhaps the most famous Christmas Tree in the world. Thomas says “the lighting of the Christmas tree has long been a family tradition and one our own kids look forward to seeing. My desire in painting the center was to capture a universal moment of hope that celebrates a holiday for which New York is well known.” Additionally, attendees to the Thomas Kinkade appearance will be able to view the much-anticipated image, Snow White Discovers the Cottage. This is the first image in the Timeless Disney Moments Collection. Kinkade will also hand-sketch and sign the back of a Limited Edition canvas of Mountain Paradise which will be auctioned at the event. A significant portion of the proceeds will benefit Kids Across America, a foundation whose goal is to build Christian leaders by encouraging, equipping, and empowering urban youth and their mentors through sports camping. Many special editions and Limited Edition canvases will be available to the event and special shopping opportunities will continue at the Grand Village across the street after the event. Tickets are available by calling Reflections Thomas Kinkade Signature Gallery at 417-334-7930 or 800-814-0989. Space is extremely limited – contact the Gallery today for more information. Offers a wide selection of Thomas Kinkade artwork including Limited Edition canvas and prints, gifts, and collectibles. The Thomas Kinkade Company publishes the work of Thomas Kinkade and distributes his art and related collectibles through independently owned galleries worldwide, an extensive network of branded and licensed dealers, and strategic marketing relationships with more than 70 licensees. The company’s primary products are canvas and paper reproductions that feature Mr. Kinkade’s artistic unique use of light and his peaceful and inspiring themes. Mr. Kinkade, known as the “Painter of Light”, is the most successful and most collected living artist in U.S. history. * The Painter of Light, Share the Light Tour are both trademarks. Donate NEW warm winter PAJAMAS for children ages birth to 18 years. Drop new pajamas off at Christian Action Ministries located at 202-B Vaughn Drive from November 1-December 31, 2008. Stuffed Animals to snuggle with are always welcome. Contact Julie at 417-334-1157 to find out how you can help! Due to overwhelming popular response to their Hot Winter Fun and Springtastic Showtime dates, the Circle B is adding more dates to their 2009 schedule. The Circle B will be open Friday and Saturday nights in February, starting on February 6 and 7, 2009. The 2009 season starts in earnest in March, with a more full schedule including Thursdays through Saturdays. “Bring your sweetheart for our Valentine’s Day special,” adds Papa Kemp. “We are putting together a new show for 2009 with some very special cowboy love songs.” The Riders of the Circle B are proud to be featuring their high-quality musicians: Louis Darby, John Fullerton and Earl Vaughn for their 2009 program, in addition to the family harmonies of Kemp, Christy and Michael Horn. To book any 2009 Circle B dates, folks should call us at (800) 678-6179. Come see Bart during this Limited Engagement. You can see Magic and great 50’s music all under one roof. Branson Limousine & Executive Charter Inc.
Make this season a memorable one for you, your family, friends, or a company Christmas party. Celebrate with a Christmas light tour of beautiful Branson! Sit back and enjoy some sparkling cider while listening to your favorite Christmas music in one of our warm and luxurious limousines. The price does not include a gratuity.